Notes: All index returns (except S&P 500) exclude reinvested dividends, and the 5-year and 10-year returns are annualized. The total returns for the S&P 500 assume reinvestment of dividends on the last day of the month. 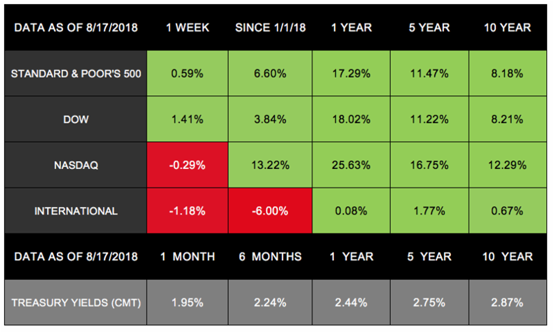 This may account for differences between the index returns published on Morningstar.com and the index returns published elsewhere. International performance is represented by the MSCI EAFE Index. Past performance is no guarantee of future results. Indices are unmanaged and cannot be invested into directly . "Fortune sides with him who dares." Over medium heat, sauté olive oil, onion, and garlic, about two minutes. Add pepper and ginger. Continue to stir. Mix in zucchini and chicken broth. After bringing the soup to a boil, lower heat to a simmer to let zucchini soften, about 45 minutes. 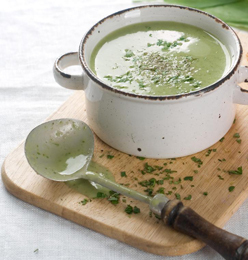 Puree the zucchini soup in an immersion blender until the mix is creamy and smooth. Add pepper, olive oil, or cilantro to season. Strokes are the leading cause of death in the United States. They are caused when blood vessels in the brain develop blockages or burst. Without immediate treatment, brain cells quickly begin to die, which can lead to disability or death. Sudden numbness or weakness of the body (especially on one side). Sudden changes in vision or difficulty swallowing. Sudden dizziness or difficulty walking. Sudden difficulty speaking or understanding. Call 911 immediately if you or someone you know experiences these symptoms. Smile. Does one side of the face droop? Raise the arms. Does one arm drift down? Repeat a simple sentence. Do the words slur? Call 911 immediately if you detect these stroke symptoms. Use the more environmentally friendly sprays. The carbaryl in most flea and tick sprays attacks insects' nervous systems. It may also harm fetuses in humans and animals. Less-toxic alternatives include geranium, citronella, and lavender. Take a look at these bug spray recipes: https://wellnessmama.com/2565/homemade-bug-spray/. Get prepared before heading outdoors. Wear long sleeves, pants, and socks when hiking. Do a quick tick check before going for longer trips. Bathe after spending time outdoors to wash off unembedded ticks. Use unscented soaps, shampoos, and deodorants. Add garlic and brewer's yeast to pets' food. Garlic and brewer's yeast make pets taste bad to insects. Do the basics by keeping your pets clean. Fine-toothed flea combs and lint-rollers help you to remove fleas from pets. Dust and vacuum regularly. Fleas don't like clean houses. Please share this market update with family, friends, or colleagues. If you would like us to add them to our list, simply click on the "Forward email" link below. We love being introduced! By clicking on these links, you will leave our server, as the links are located on another server. We have not independently verified the information available through this link. The link is provided to you as a matter of interest. Please click on the links below to leave and proceed to the selected site .